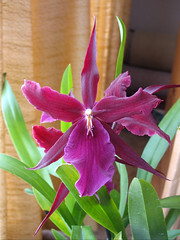 [Added Feb. 8, 2006] These are Miltassia Royal Robe ‘Jerry’s Pick’ and Beallara Peggy Ruth Carpenter ‘Morning Joy’. Thanks to Flickr user ‘Dave on Long Island’ for the ID. 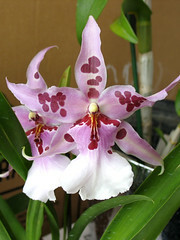 This entry was posted in Uncategorized and tagged orchid. Bookmark the permalink.